Not So Silent Night 2011 – Cast your vote for local group Our Vinyl Vows to play! Our Vinyl Vows has made it to the top 15 finalists for Live 105’s Not So Silent Night contest! If they are picked, they will play alongside bands like Jane’s Addiction, Mumford & Sons, Florence & the Machine, Bush and Young the Giant! Cast your vote RIGHT NOW to show Northern California who’s got the best local rock! 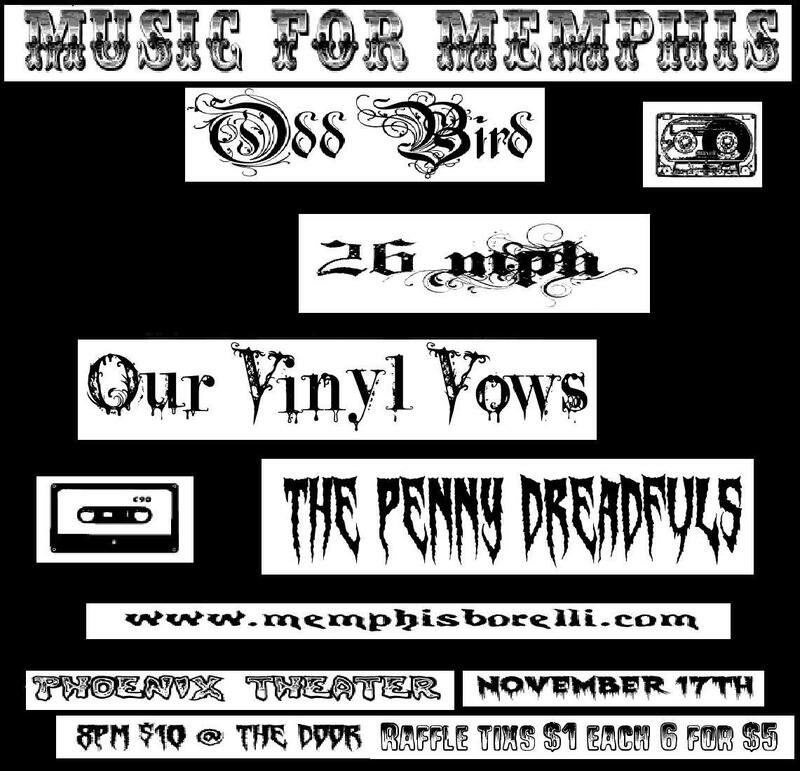 DESCRIPTION OF EVENT: Music for Memphis is a benefit concert for a friends 16 month old boy(Memphis) who has down syndrome. He has already had 2 heart surgeries and will be having a surgery in November. The family needs help! We are donating all the proceeds to the family to help with the medical bills, specialist visits, and gas to and from the City for appointments. Come enjoy the music and support a great cause!